Golf Chicago: The Turkish Airlines Open has just finished its sixth year as a European Tour stop with Justin Rose crowned as champion a second consecutive time. How did the tournament got its start and how it has grown. Seda Kalyoncu: It’s a story that we are all proud to be a part of and what we have today, one of the best European Tour tournaments on the schedule, is thanks to the vision of Turkish Airlines and the President of the Turkish Golf Federation Ahmet Agaoglu. It began with the eight-man Turkish Airlines World Golf Final that included then world number one Rory McIlroy and Tiger Woods in 2012, which Justin Rose won. The following year was the first Turkish Airline Open, which immediately became a pivotal part of the climax to the European Tour season, and we have also created iconic moments like Tiger Woods hitting a shot across the Bosphorus from Europe to Asia. After three years at the Montgomerie Maxx Royal, 2017 was our second at the Regnum Carya Golf and Spa Resort and was undoubtedly the best yet, with Justin pulling off a dramatic win. We \look forward to extending that well beyond that. It’s an exciting future. GC: The tournament exposure has obviously helped make the world aware of Turkey as a golf destination. Has Turkey already become a golf tourism destination for Europeans? SK: Over the past few years Turkey has emerged as the most exciting new golf destination in Europe. Most of the golf resorts and courses that have opened in the past few years are concentrated along the Mediterranean coast in Antalya, better known to travelers as the “Turkish Riviera” due to its 300 days of annual sunshine. Pine and eucalyptus forests, magnificent beaches, lakes, rivers and grasslands are the setting for courses of individual character and breathtaking beauty characterized by challenging water hazards and lakes, sand dunes, parklands, rambling fairways and fast greens. For a relatively small region, Antalya’s golf growth is aggressive and impressive with large numbers of clubs and resorts to choose from. Many are designed by such illustrious names as Colin Montgomerie, Nick Faldo, Pete Dye, Michel Gayon, Dave Thomas and David Feherty. While Antalya is the pre-eminent golf destination in Turkey, aficionados will find challenging play in other areas as well, including the capital city of Ankara and of course, the historic city of Istanbul. GC: Name the best golf resorts in Turkey. SK: Carya Golf Club is a classic, heathland-style course roaming over undulating sand hills and shaped by home-grown heather rough, pine and eucalyptus trees. The 7,186-yard, par 72 Players course is a demanding test of golfing strategy. Carya also offers a world class Golf Academy and spectacular new Club House and has hosted the last two stagings of the Turkish Airlines Open. The Kemer Golf and Country Club courses were prepared by PGA certified golf professionals, who also coach the Turkish National Team, and enable beginners to make it to play at the 18-hole course (73 par - 6,113 m). More than 50 tournaments a year are held at the club that is the pioneer of golf in Turkey making the greatest contribution to the development of this sport. Measuring 6,300 yards and set among the rolling hills of the Belgrade Forest, The Club offers, in addition to golf, an array of international restaurants as well as tennis, horseback riding and mountain biking facilities. The Gloria Golf Resort is one of Turkey’s premier golf hotels. Gloria's 'New' Course (18 Par: 72) has proven to be a favorite among golfers since 2005. In 2007, the course was the site for the European Seniors Tour Classic, and in 2012, the World Amateur Team Championship. Gloria's 'Old' Championship Golf Course(18 Par: 72,) nestled among pine trees, offers a comfortable environment to perfect your game. The course is studded with natural foliage and enveloped in a cocoon of peace and privacy, allowing you to focus on your shots and the finer points of your game. Gloria Verde Golf Course, one of the top nine-hole courses in all Europe, is located among natural pine trees. Both seasoned pros and amateurs are at home on the Verde Course as it offers both challenging holes to test the game, as well as holes that are designed to help improve technique. Montgomerie Maxx Royal was the venue for the first three Turkish Airlines Opens and was designed by European golfing legend Colin Montgomerie, opening in 2008. It is a challenging and undulating par-72 course that is a mixture of parkland and seaside-feel. The Maxx offers exceptional practice facilities, including a 25-bay driving range with individual teaching areas and a large practice putting green. Antalya Golf Club was prepared by the architects of European Golf Design which is all world famous and the best project-golf design company in Europe. His consultancy is also run by David Jones, a famous professional golf player. You will experience unforgettable moments of golf with its superb game park, unparalleled ambitious qualities and wonderful natural surroundings. designed by Davis Jones and European Golf Design, offers two PGA courses: the challenging par 71 Sultan, and the, par 72 Pasha. Deceptive dog legs, hidden bunkers and a forest setting make both much more than a walk in the woods. Antalya also offers a full-service Golf Academy for individual and group lessons, practice areas and pro shop. The Cornelia Golf Club’s centerpiece is the Cornelia Nick Faldo course. Twenty-seven total holes – three nine-hole courses called the King, Queen and Prince – combine to create three championship courses, with the longest, at 6,947 yards, deemed “ferociously” challenging. The resort also features the David Leadbetter Golf Academy, the first of its kind in Turkey. They meet you with a Welcoming Cocktail as soon as you take your first step to the Golf Club and remain at your service with water and fruit served throughout the day for you to enjoy your game. Players will live a unforgettable moments and a lifetime experience at the Cornelia Golf Club which is the first signature golf course in Belek with different golf strategies. GC: Most Americans have little knowledge of golf in Turkey. Are there primary characteristics that distinguish Turkish golf courses from American courses or other European courses? SK: The concentration of courses in the Belek area are carved out of eucalyptus forests and the beautiful trees line the fairways for most courses. They are evergreen, sand-based and drain quickly. The overall standard of courses – both design and condition – is exceptional. GC: Is Turkish Airlines and the Turkey Tourism Board actively working to make the country a worldwide golf destination? SK: Turkish Airlines, the Turkish Tourism board and the Turkish Golf Federation are proud to showcase all that our country has to offer golf lovers, from the best facilities to the warmest hospitality. Antalya is undoubtedly becoming known as one of the finest golf destinations in Europe and year on year we see improvements and growth. It’s exciting and Turkish Airlines’ commitment to allowing passengers to fly golf clubs for free will only enhance this. GC: Is a golf trip to Turkey affordable including airfare, resort, green fees and transportation? SK: In contrast to many better known destinations, golf in Turkey offers accessibility to the best courses at very reasonable prices – often lower than many public courses in the U.S –. Antalya, is already popular as a tourism destination has lodging facilities that cater to a wide spectrum of tourists from all the world. GC: Turkish Airlines flies to more countries than any other airline. What is the airline's involvement with Turkish tourism and Turkish golf, specifically? SK: Turkish Airlines is the carrier that flies to most international destinations and we are constantly extending our route map. Istanbul is perfectly situated to be an airline hub, giving access to 41 destinations in Europe, Africa and the Middle East within a 3-hour flight. Meanwhile, our country is among the rising stars of world tourism and attracting tens of millions of people every year. These crucial advantages will be further boosted with the Istanbul New Airport that is scheduled to be opened in late 2018 and will reach a 200-million passenger capacity once fully complete. As an airline that believes in the uniting power of sports we back several sports organizations, leagues and championships to strengthen our global presence. We believe that sports is an important medium to get our message to the wide geographic region we fly to and golf is undoubtedly a special in reaching out to a specific audience. Belek, Turkey's premier golf destination, is now a household name for golfers worldwide and in collaboration with the Turkish Golf Federation, we have put Turkey on the itinerary of golfers seeking new thrills in new and exciting courses. Experienced vacationers are well-aware of the possible obstacles that stand between bliss and disaster. Bad weather, damaged or stolen equipment and sudden illness can put asunder even the best laid plans. Launched in 2013, TravelInsurance.com simplifies the seemingly complicated world of travel insurance by providing consumers with an easy way to compare and buy trip insurance coverage online. Typically, a comprehensive travel insurance plan will range from 4% - 8% of total trip costs. Coverages can range from lost golf trip days (with benefits of $250 - $500) if a round is significantly delayed or cancelled; damaged equipment, and severe weather. 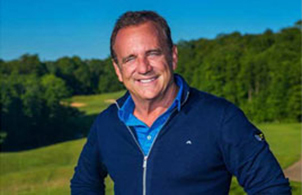 Acclaimed golf instructor and former Director of Golf at Treetops Resort in Northern Michigan, Rick Smith has announced plans to open the Rick Smith Golf Performance Center at Trump National Doral Miami on January 1st. The timing of Smith’s new center coincided with a PGA Tour victory at the Safeway Open by long-time student Brendan Steele. Smith, whose resume includes course designer, TV analyst, spokesma, and instructor, said that going forward he plans to devote the majority of his time to instruction. He has previously been ranked as one of the country’s top three teachers in the world by various national golf magazines. His students over the years have included Jack Nicklaus, Phil Mickelson, Lee Janzen, Vijay Singh, Greg Norman, and John Daly. Along with assembling a team of world-class instructors to run the performance center, Smith has acquired state-of-the-art swing technology and video analysis to serve resort guests, club member,s and visitors. The facility will provide a wide range of instruction options, including private lessons, half-day, full-day and multi-day programs, group clinics, junior camps, and on-course programs. Smith currently operates the Rick Smith Golf Academies at both Forest Dunes in Roscommon, MI, and Oakland University in Rochester, MI. The beauty and luxury of Mexico’s Cabo San Lucas area is the stuff of legend. Diamante Cabo San Lucas now offers direct booking on the company’s website for vacation rentals. Choose from studios to six-bedroom villas to enjoy all of the amenities of this resort-style private community located along 1.5 miles of stunning Pacific Ocean coastline and dunes. Golf at Diamante starts with the Dunes Golf Course designed by Davis Love III and ranked #36 in the world by GOLF magazine. The Dunes is complemented by El Cardonal, the first Tiger Woods design in the world which features natural arroyos, dunes and magnificent ocean views. Resort and waterfront community Harbor Shores has announced plans to open a seventh neighborhood. Inspired by the character of the historic St. Joseph area. Harbor Village homes will feature front porches and waterfront views over an 11-acre site. Housing options range from townhomes to single-family homes and will open to residents in summer, 2017. As with every neighborhood at Harbor Shores, residents of Harbor Village will have access to all amenities on the property, including the Jack Nicklaus Signature Golf Course, home of the Kitchen Aid Senior PGA Championship. Other offerings include a marina, an athletic club and a brew pub. A Rees Jones design, the desert course was introduced in 2000 as an exclusive club, but has since evolved into a public facility. The property’s rolling topography distinguishes the layout from most other Scottsdale courses, and its dramatic par 3s are memorable, to say the least. Ranked as the #1 Public Course in Arizona by Golfweek, Quintero G.C. also offers an array of luxury fairway villas that offer spectacular views of the surrounding desert. McCormick Ranch operates two distinct golf courses, both designed by Desmond Muirhead. The Palm Course serves up spectacular views of Camelback Mountain and a signature hole #9 which was called one of the top 18 water holes in America by Golf Illustrated. The Pine Course was named for the mature pines lining its fairways. To book a room at the brand new Embassy Suites by Hilton Scottsdale Resort visit www.scottsdale.embassysuites.com or call 800-528-1456. 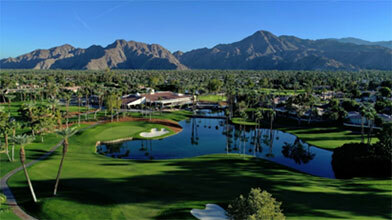 Two award-winning golf courses set in the Sonoran Desert highlight We-Ko-Pa Golf Club in the Scottsdale/Phoenix area. Breathtaking views of the McDowell Mountains, Red Mountain, Four Peaks, and the Superstitions complement the stunning features of the Saguaro Course (by Bill Coore and Ben Crenshaw) and the Scott Miller-designed Cholla Course. Even with the national acclaim the courses have received through the years, design tweaks have been made recently to improve the We-Ko-Pa experience. A $1.8 million renovation project included irrigation infrastructure improvements, and new greens and bunkers. The formidable 8th hole, which plays as long as 605 yards from the back tees, was also revised to allow for a more intriguing risk/reward experience. A rock desert wash running across the front of this green has been reduced to allow long-hitters to go for the green in two from the right side of the putting surface. We-Ko-Pa Golf Club is just one of the amenities at the AAA Four Diamond We-Ko-Pa Resort & Conference Center. The complex features 246 beautifully appointed rooms and suites; a delightful outdoor pool; the Amethyst Spa and Fitness Center; a 25,000 sq. ft. conference center; and a deluxe casino. As the polar vortex sets its eyes on Chicago, golfers seeking a respite from cold garages and smelly bowling alleys should consider a visit to California’s Monarch Beach Resort. Originally opened as the St. Regis Monarch Resort in 2001, the seaside property received a $40 million facelift and reopened as a luxury resort this past summer. Master designer Robert Trent Jones created picture-postcard holes along the water to create a spectacular yet playable 6,645-yard layout. Named a Gold Medal Resort by Golf magazine, the expansive property incorporates restaurants, a spa,and luxury accommodations along with other amenities. A “Swing & Spa" package available in the holiday and winter months includes a round at the Monarch Beach Golf Links and a 50-minute treatment at Miraval Life in Balance Spa.